The do-it-yourself trend is gaining momentum as homeowners strive to be more independent and save cash. But although you can probably paint a room or fix a deck yourself, there are some tasks that should always be left to professionals, including tree removal. Here’s why you should never try to take down a tree by yourself. 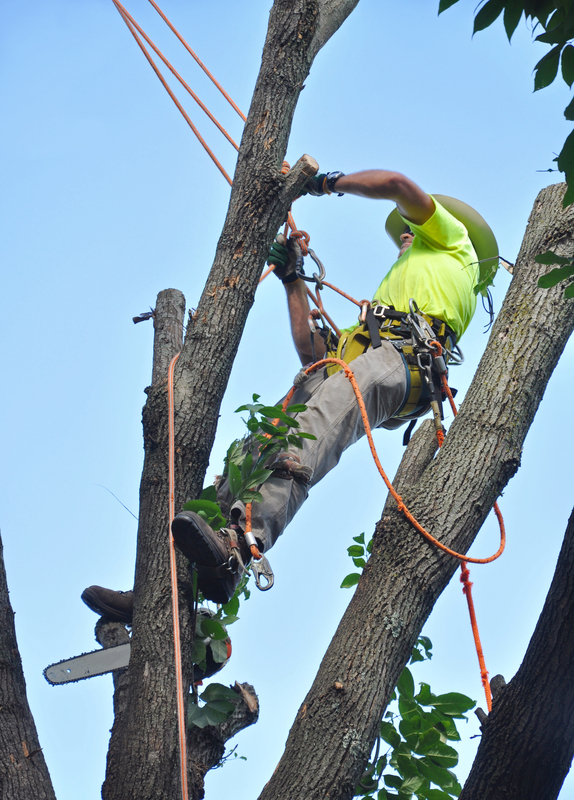 Tree removal professionals undergo extensive training before they ever trim or remove a tree. They know how to handle the machinery and tools safely and how to work around hazards like power lines and, in the case of stump removal, plumbing and foundations. They know how to handle even the most challenging circumstances efficiently. The risk of electric shock or electrocution is high. If you, your equipment, or the tree hit a nearby power line, you may be shocked, which could cause permanent complications or even death. You also risk a power outage. When you remove a tree yourself, you’re liable for any costs you incur as a result of accidents. This means you’ll foot the bill for property damage as well as medical expenses. Tree service companies carry liability insurance, which ensures they are responsible if any accidents occur. In addition to electric shock, there are other dangers associated with DIY tree removal, including the risk of falling. Falling from the tree or your ladder could result in severe injury. Falling debris and limbs also pose a threat for you and others in the vicinity. Professionals know how to do the job safely without harming any person or property. It’s not worth the risks to attempt tree removal yourself. Instead, hire a professional who will do the job efficiently and safely. Residents of Habersham County, GA, rely on the trusted professionals at McAllister Tree Service in Cornelia for all of their tree service and stump removal needs. In business for over 20 years, they’ve established a stellar reputation for their reliability and expertise. Call (706) 778-7527 to speak with a friendly staff member or visit the website to learn more about their services.